Waterfest Coming August 24-25, 2019! 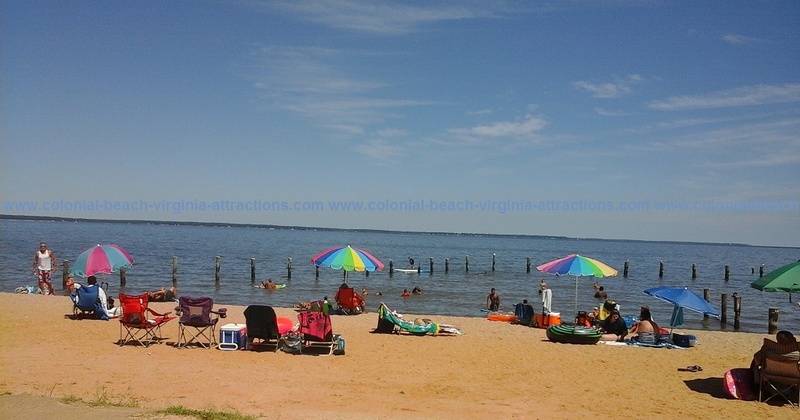 The first annual Waterfest in Colonial Beach took place the weekend of August 22nd and 23rd, 2015! 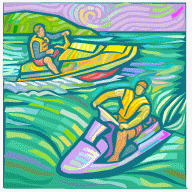 This great late-summer event rounded out the 2015 season with great fun for everyone. A"treasure hunt" - kids go to specific businesses and find a hidden item, take a picture, and the first 3 teams back will win a prize. 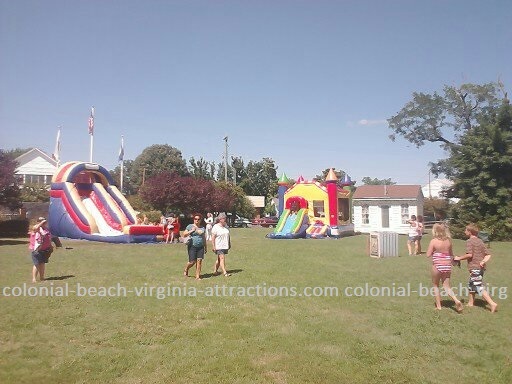 Inflatable water slides – kids can cool off and have some splish-splash fun on Town Hill. 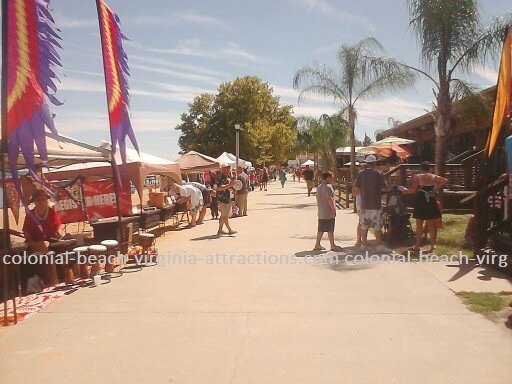 Food and Craft Vendors – tickle your taste buds and shop ‘til you drop on Town Hill and the Boardwalk. Live music – bands to be announced will perform from Town Stage. Reno Hill played on Saturday the 22nd from noon to 4 during the first Waterfest. Animal Shelter Rescue/Adoption event – find your future furry friend.